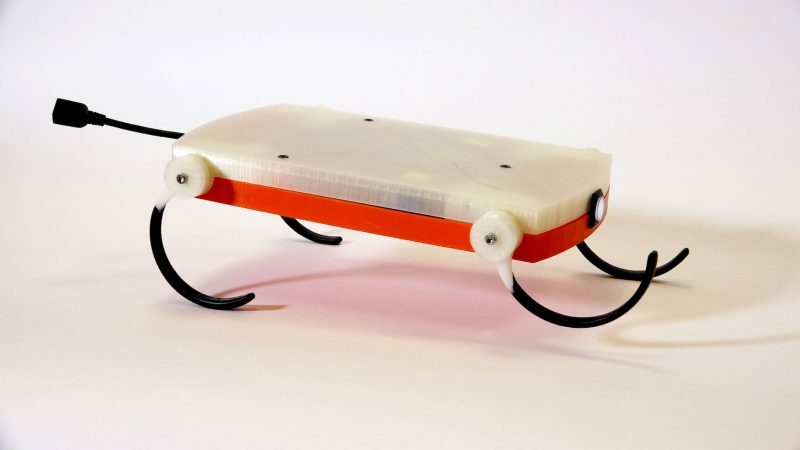 The TOBI (Teaching-Oriented Biologically-Inspired) Robot is a low-cost legged robot platform designed to be easy to use and provide a compelling user experience. After several design iterations the platform cost has come down to just under $250 and we are aiming at a $200 final target for a machine that could be affordable within the secondary school budget, yet still offering good dynamic performance due to its 25 W/kg power density and approximate 4-hour battery life. The robot runs on an Arduino system and is meant to be completely self-assembled and self-soldered. The design is highly modular, with the six legs being swappable with arms, wheels or a combination of them. TOBI can be expanded to utilize all Arduino pins to include sensors, external motors and other electronic components via its onboard breadboard.